General Electric (NASDAQ: GE) reported better-than-expected Q2 2018 results on Friday, beating both revenue and earnings consensus estimates, yet the stock fell by about 4.5% in reaction to management’s lower end EPS and cash flow guidance. Revenues in the quarter came in just over 3% higher than the year ago period, while adjusted earnings came in at 19 cents (down 10% year-on-year). 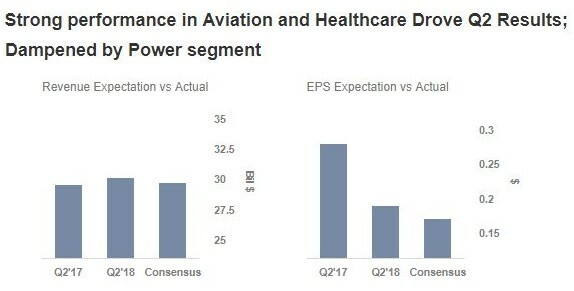 The better-than-expected results were driven by strong performance in the Aviation and Healthcare segments and effective cost cutting techniques. However, the challenging environment surrounding the Power segment slightly dampened the earnings. The company’s turnaround could take some time and will depend on an improving business environment and global growth, and accordingly we expect GE to report mixed results in the next few quarters. 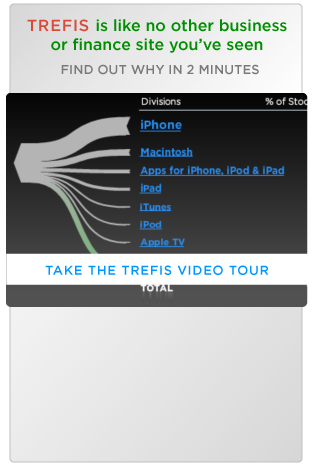 Below, we provide a brief overview of the company’s results and what lies ahead. We have created an interactive dashboard analysis which outlines our expectations for General Electric over 2018. You can modify the key drivers to arrive at your own price estimate for the company. 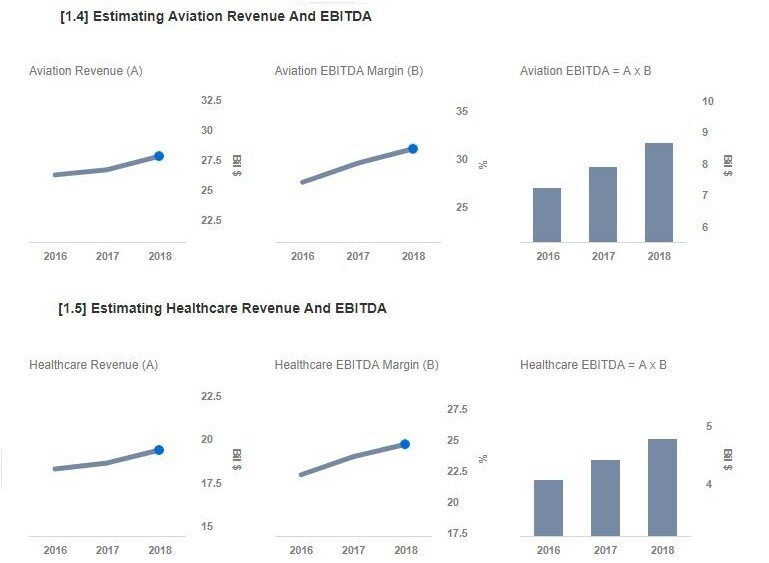 The Aviation and Healthcare segments were the top performers for the conglomerate in Q2’18, with revenues growing 13% and 6%, respectively, year-on-year. The Aviation segment enjoyed a strong Q2, as margins improved as a result of higher equipment orders, increased demand for LEAP engines and cost efficiency. GE is one of the leading players in the aviation market and is well positioned to increase its share over time. We expect GE’s latest wins at the Farnborough international airshow coupled with the segment’s tailwinds to continue further into 2018 and drive segment revenue to nearly $28 billion (+ 4% y-o-y) driven by strong growth in the Military business, air freight volumes, and the delivery of 1200 LEAP engines by 2018 end. Meanwhile, the Healthcare segment enjoyed a strong Q2, driven by strong growth in emerging markets. We expect this trend to continue into 2018, driven by strong demand in emerging markets. However, GE plans to move the Healthcare segment out of its core business over the next 12-18 months. The Renewable segment reported revenue of $1.6 billion (down 29% y-o-y) in Q2, driven by lower onshore wind turbine orders. However, the acquisition of LM Wind Power bolstered the segment in Q1 and we believe it should provide reasonable growth opportunities. GE is one of the leading players in the renewable energy segment and is well positioned to increase its share over time. The Renewable Energy segment holds decent growth potential for GE, as a result of the increasing domestic and international wind and hydro orders. We expect the segment’s tailwinds to provide decent medium-term growth opportunities driven by strong growth in the domestic and international onshore wind and hydro orders, and offshore wind orders. The market for high-end gas turbines has been fairly weak, largely due to the growth of renewable energy, and GE expects challenging power markets to continue into 2018. We expect the 2018 revenue in this segment to decline by nearly 7% to $32.8 billion.